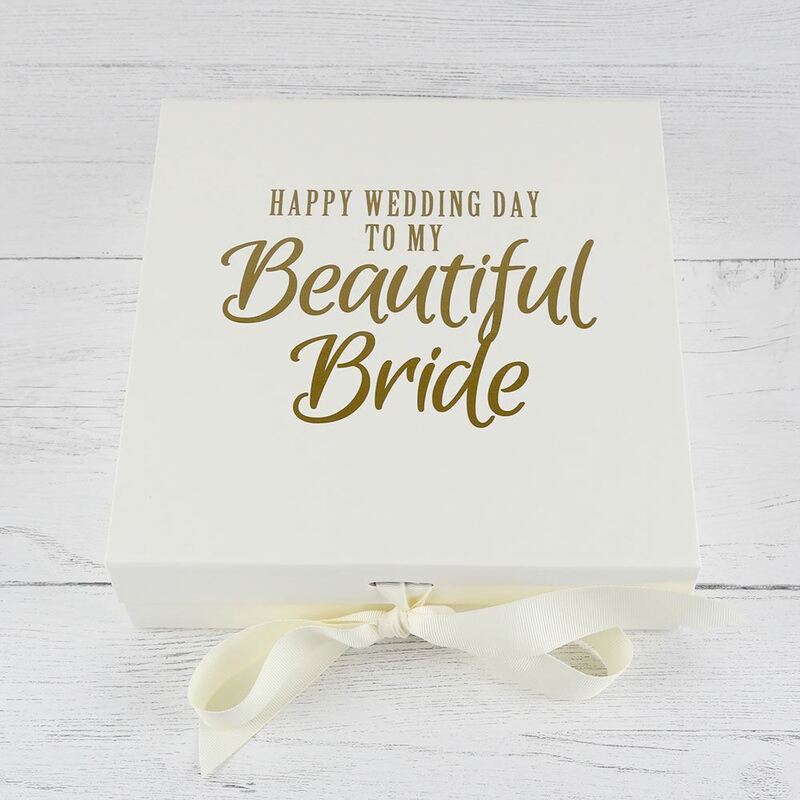 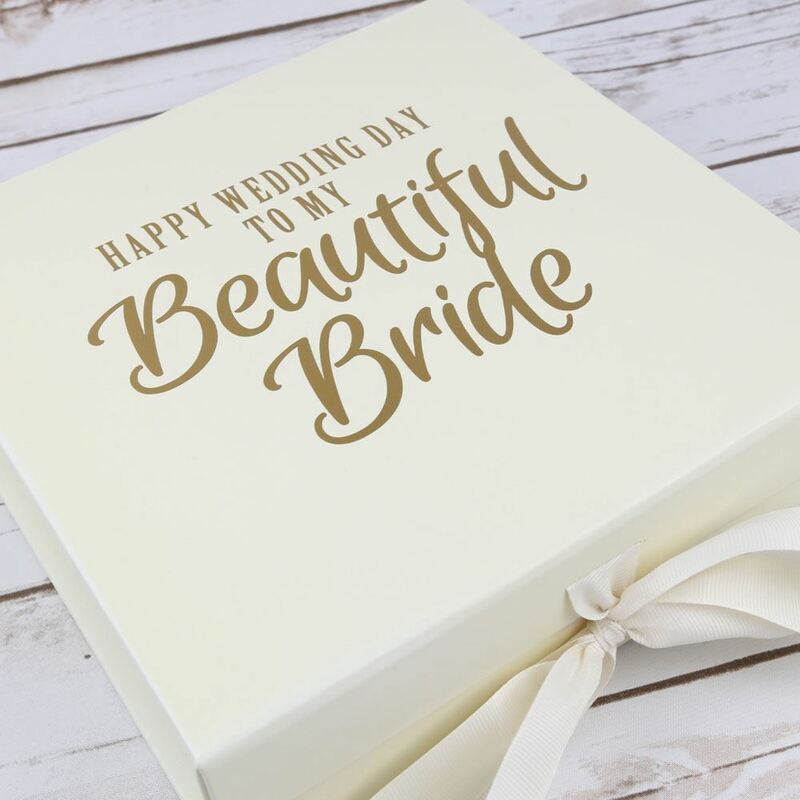 Also available with just "beautiful bride" or "the beautiful bride" if it is from the bridesmaids or family. 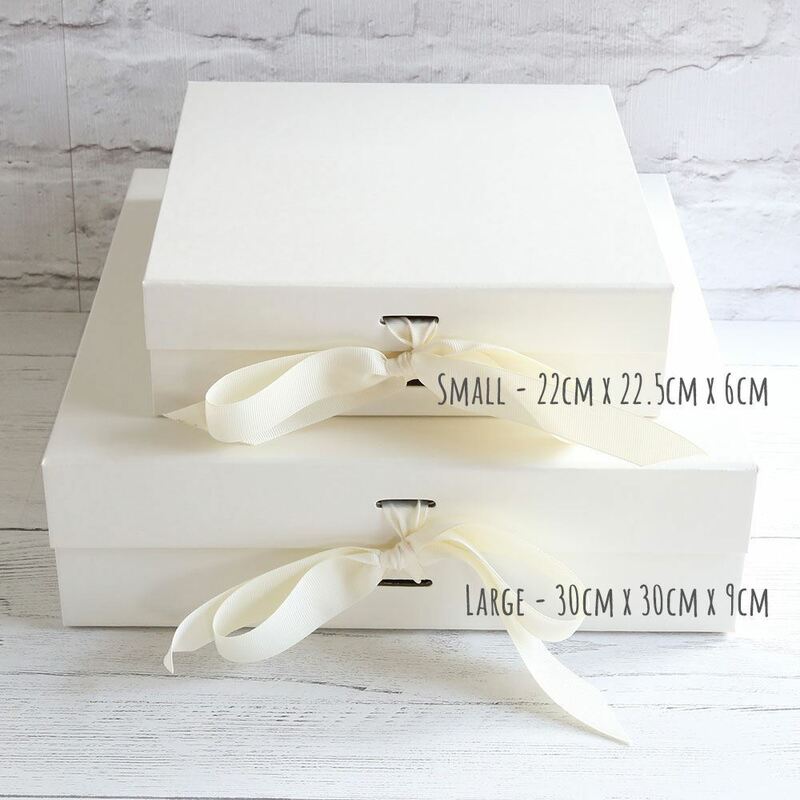 Please add a note in the comments box when you order if you would like to change the wording. 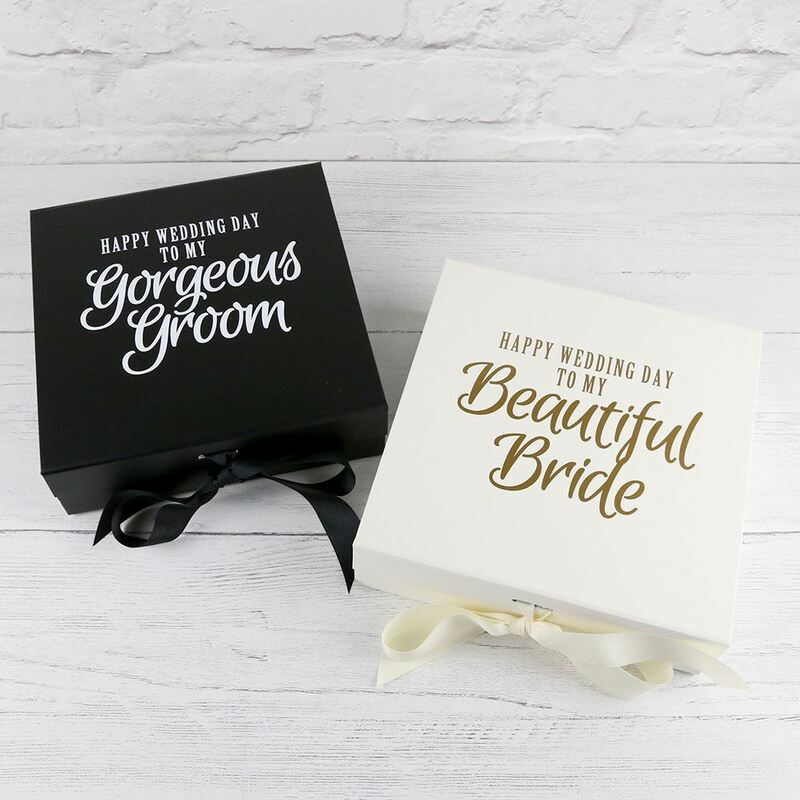 We can also add the brides name and wedding date for no extra charge. 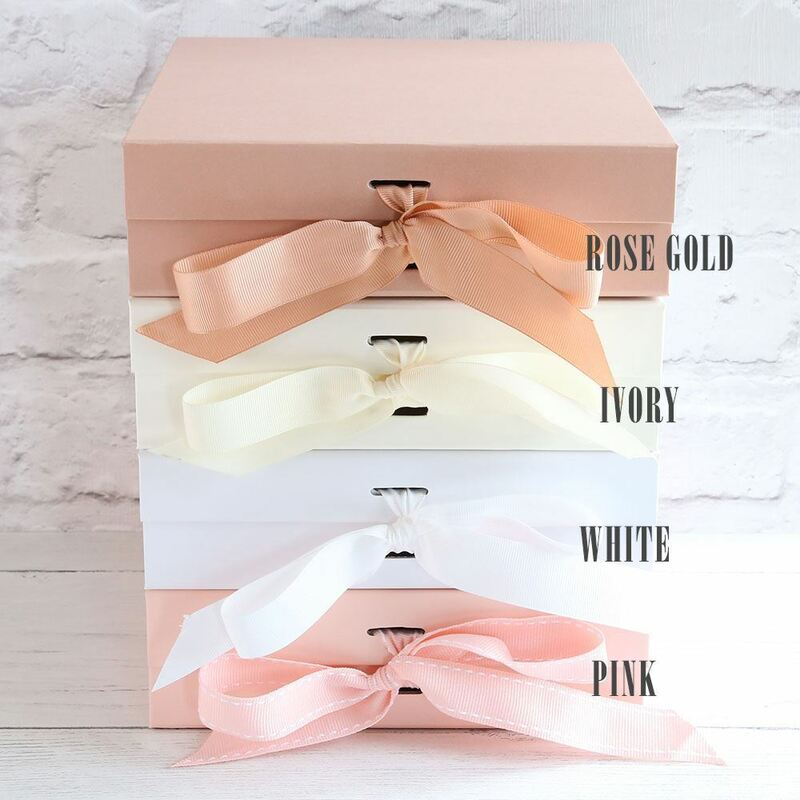 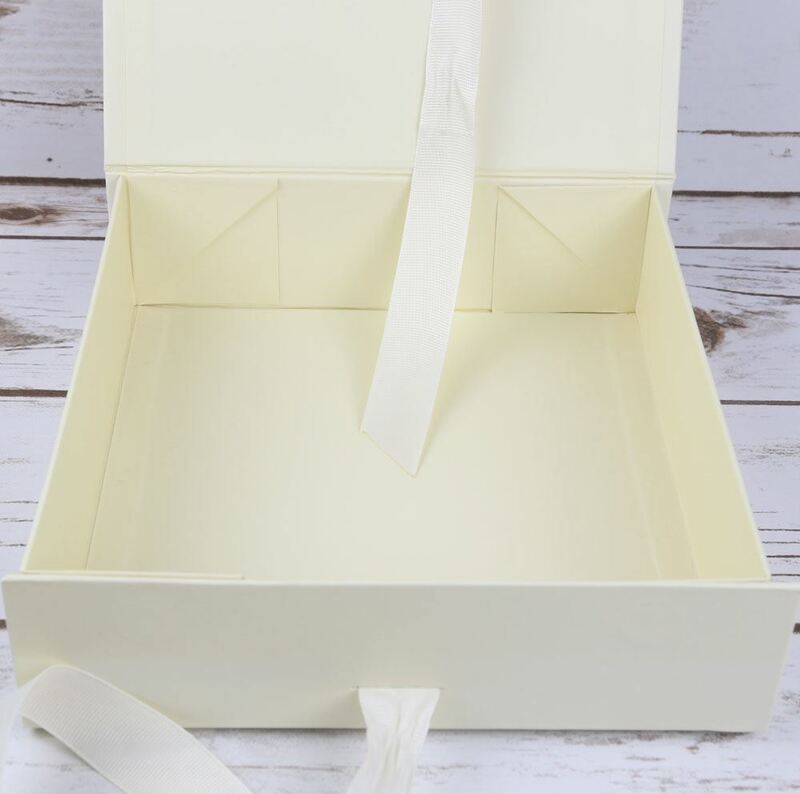 These are high quality board boxes and they come with a magnetic snap shut lid and is finished with a matching bow.